With the rise of Islamophobia in our country, more people are becoming curious about Islam and want to validate what they hear on the media. Are you prepared to answer their questions? Don’t miss out on this exclusive dawah session with Fahad Tasleem. 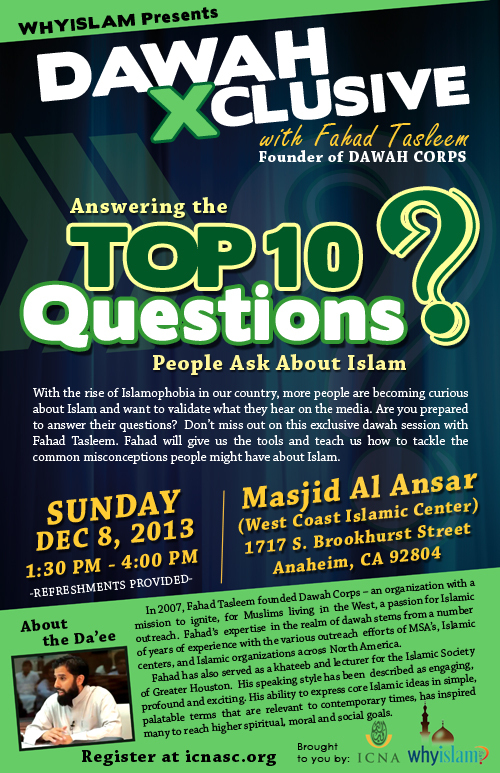 Fahad will give us the tools and teach us how to tackle the common misconceptions people might have about Islam.